Restaurants updating their menus every season has become a regular occurrence these days as many start to focus on seasonal ingredients and giving their customers a change of pace every few months. However, how many do you know of change their menu every single week? Apparently, that is the case over at Tempo Urban Kitchen in Brea. 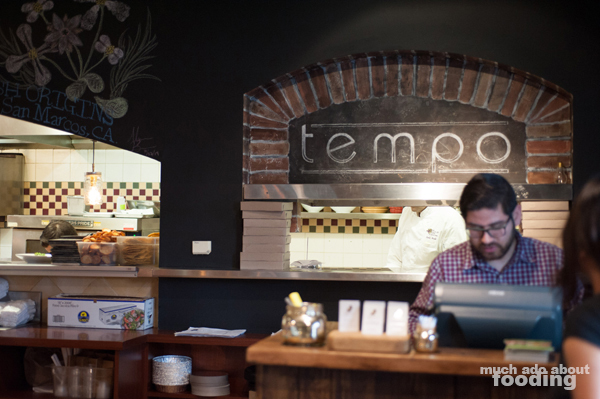 Opened in late 2014 by veteran restaurateur Jorge Cueva, Tempo is a passion project that allows culinary landscapes to be explored. The menu has a heavy Mexican influence (appropriate for the region) but still manages to touch on a variety of cuisines in one go. 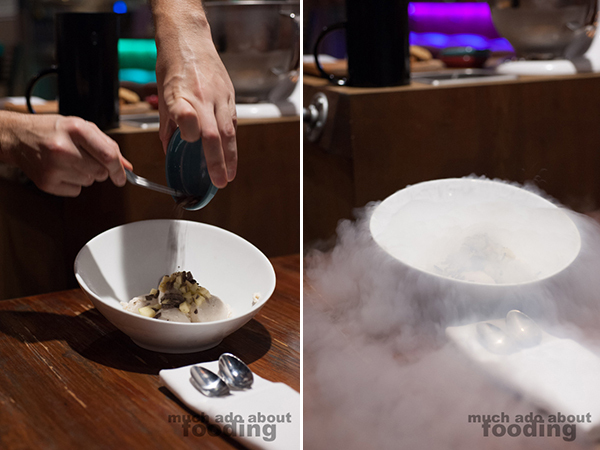 So much experimentation makes a restaurant privy to successes and failures; we visited upon invitation to see what flavors could be cooked up then and what keeps the customers currently happy. Their tagline is "March to Your Own Beat," an admirable phrase to live by. It also tips its hat to the freedom Executive Chef Derrick Foster has in the kitchen as every week goes by. Owner Jorge has a lot of say in what gets put out every week but explained how strongly the two of them work together and bounce ideas off of each other. It somehow has managed to be the perfect fit for the two, and the customers in the area are growing in number. Inside are some contemporary restaurant elements befitting of a New American style spot. 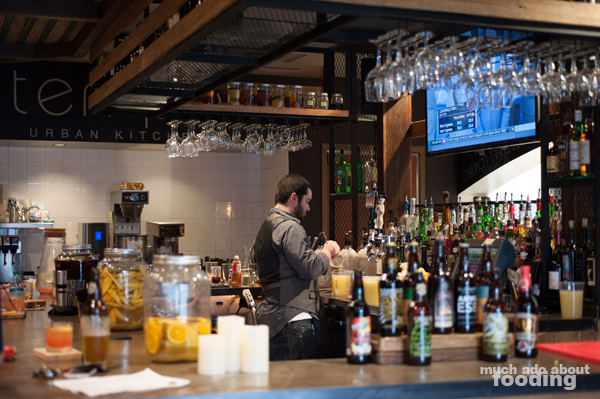 The fully loaded bar is impressive and understandably the first sight you have upon walking in. 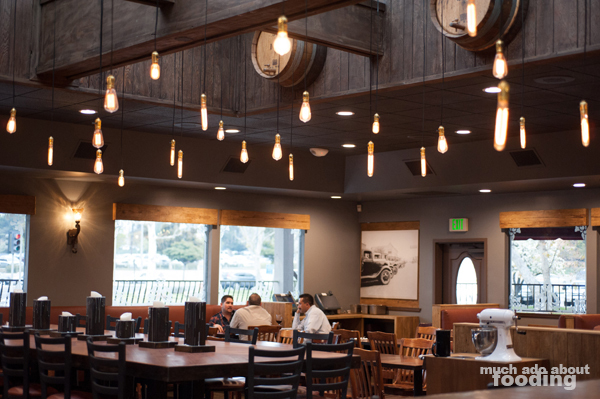 Outfitted with wood panels and overseen by recycled barrels, the main dining room is spacious and bordered with art that emphasizes a bit of improvisation. Tempo, the name, makes sense - music in itself can be free-spirited, creative, and on-the-fly. 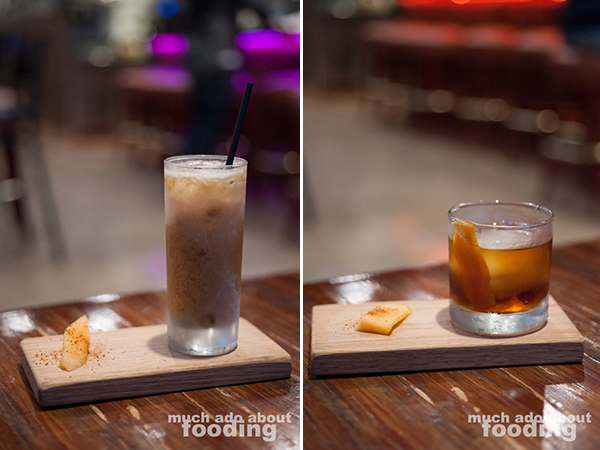 At Tempo, there seemed to be a great pride in the drink menu and once we took a gander at it, we could tell why. The cocktails were riffs on some classics but with respectful nods toward the originals. So many of the inclusions were created in-house as well including the bitters, a feat that restaurants would be proud of. We opted for their Tamarindo ($10 - housemade tamarind extract, reposado tequila, and fresh lime) and Hickory-Smoked Old Fashioned on Draft ($10 - hickory-smoked Old Forester bourbon, Luxardo Amaro Abano, grade B maple syrup, Peychaud's and Angostura bitters) to start us off. These came served on a small wooden board which doubled as a coaster, I assume. They were accompanied by a bit of cantaloupe with li hing; apparently the fruit changes with availability but always joins cocktails. The Tamarindo was an excellent alcoholic version of the classic drink, and using actual tamarind in it made all the difference. There were pieces and a much stronger flavor of the sweet addition. I really enjoyed the Old Fashioned as well as it was one of the most balanced drinks I've had in a while. The smokiness came through just a tad on the nose, giving it a unique touch without being overwhelmingly deviant. So what are some popular items? Though Tempo changes the menu often, there are some mainstays. Take for example their Watermelon Sashimi ($7 - watermelon, sushi rice, and sesame oil) - it attracts many guests' attention because their curiosity is piqued. 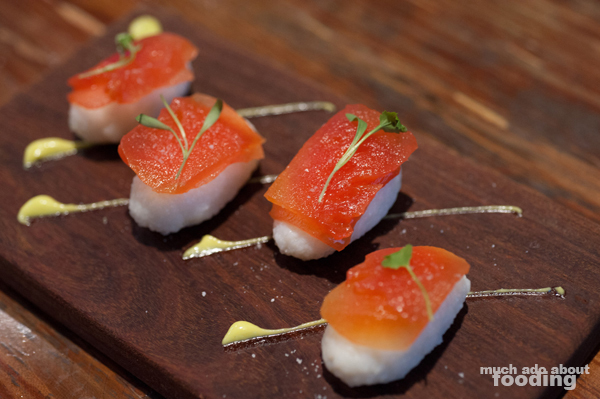 What could watermelon sashimi be? Well, we were informed that it is dehydrated watermelon that is then compressed and marinated in a sashimi-inspired mixture of sesame oil and other fixins. We absolutely enjoyed the watermelon part but found the rice too dense to compare it to appropriate sushi. Also, just a small misnomer - this would be nigiri, not sashimi! Our other small plate was their Gnocchi ($10 - potato dumpling, Pecarino, cilantro, serrano, and lime), an exciting dish executed very well. 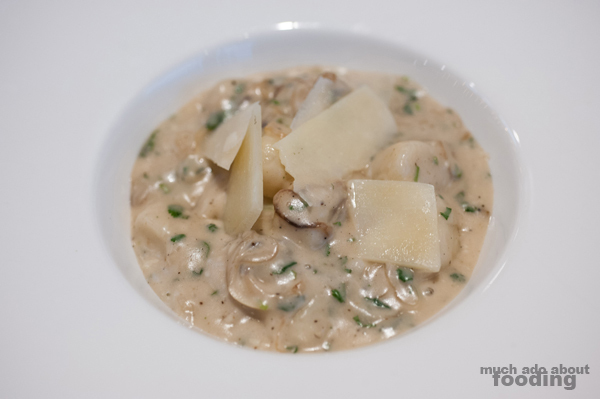 It isn't often that I find gnocchi done in a switch-up of cuisines that performs well but these soft, pillowy dumplings were able to resist being heavy with the inclusion of citrus and spiciness. We highly recommend trying this one out. If I could have licked up the bowl without making a scene, I would have. Curious about their two soup options, I chose to get their Anise Beef Noodle Broth ($8) with the wrong assumption that it would resemble pho broth. After all, anise is a prominent characteritstic of that iconic dish but what came out was more of a soupy slaw. I did not particularly enjoy this one much but Duc slurped it up with no problem. 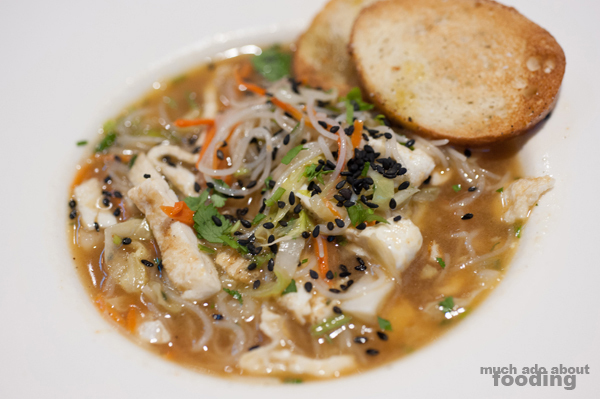 The noodle was of the vermicelli variety, and the soup slightly sweet. 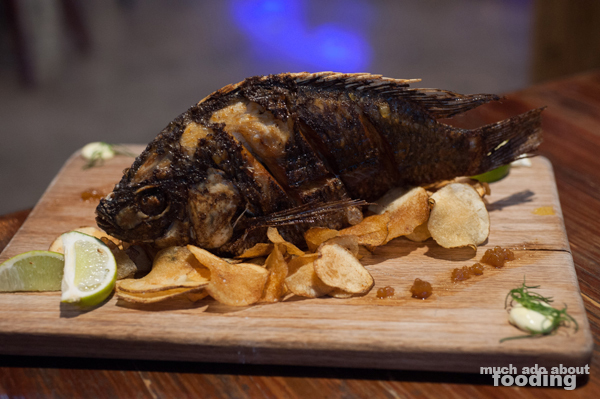 Next came their Fish & Chips ($15 - whole fried Mojarra, citrus-soy, ginger aioli, and housemade chips), a dish they say usually turns heads in the dining room. That is with good reason because how often do you see a whole fried fish in a restaurant? Served standing upright on a bed of potato chips, this fish is presented to mimic it swimming. A word of caution to those ordering this dish though - it is not your typical "fish & chips" fish in flavor. The flesh is a brilliant white but the similarities end there as the mojarra has more of an earthy, muddy taste to it. Instead of adopting the British term for chips as a name for French fries, Tempo actually does mean chips in this dish but my oh my are they delicious! Overall, this was a difficult dish to 1) take apart to eat and 2) enjoy when the expectations may have been something else. If you are not familiar with this type of fish, you might not like this order. 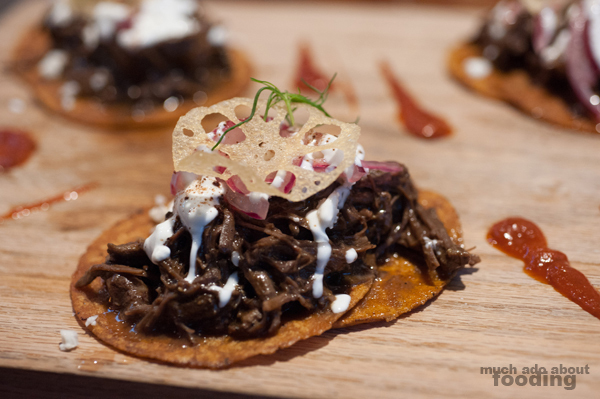 Instead, go for their Three Short-Rib Chocolate Tacos ($15 - chocolate Modern Times-Coffee Roasty beer sauce, lime crema, Abuelita, chocolate tortilla, and crisp pickled vegetables) which stacks luscious and tender short rib atop crisp and sweet tortillas. What could be wrong about these? Lastly, we had to save ourselves some room for dessert. There were several options but the one that had been tempting us all day was out in the open - a large mixer stand atop a rolling cart. If you pick their Tableside Ice Cream ($20), the flavors change frequently. In our case, we chose the rice pudding which was practically a horchata ice cream. 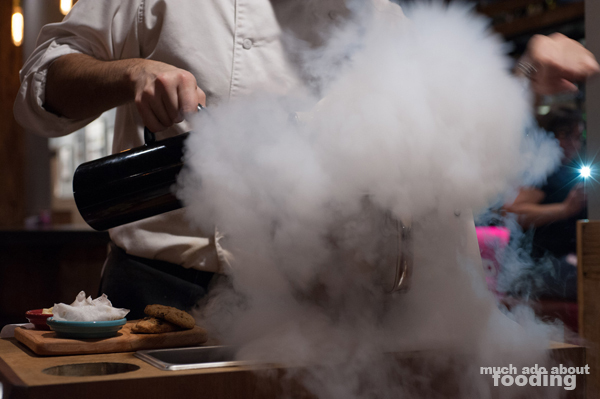 The process gets the other guests curious as well because a chef/cook comes out to churn up the ice cream made via liquid nitrogen. 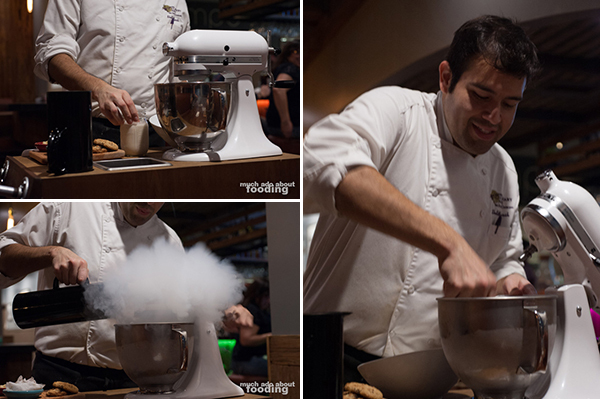 Spewing fog flows out from the mixing bowl constantly during the making process, giving a fun visual effect to the meal. 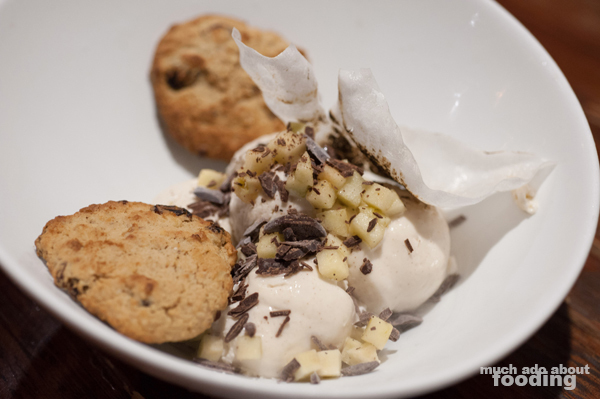 Our rice pudding ice cream came with grated chocolate, diced Granny Smith apples, and toasted rice paper to mimic roasted marshmallow (it did!). The accompanying oatmeal raisin cookies were too hard to enjoy with the ice cream but were a thoughtful touch as well. Perhaps a softer variety would work better. Overall, Tempo is a fun place with an ever-changing menu which keeps the food fresh and the guests guessing. Some of the mainstays are there as beloved favorites and with good reason. If you are curious about checking Tempo out, find them at 1060 Imperial Highway, Brea, CA 92821.